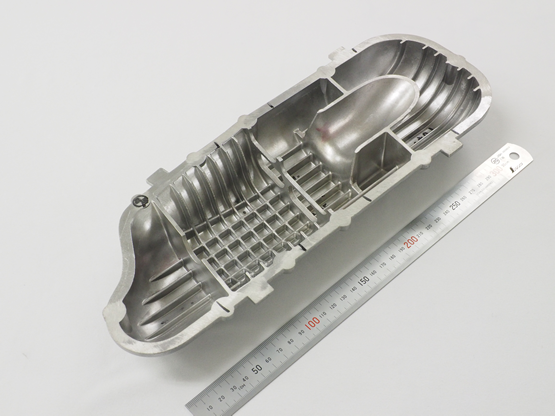 ①Material accuracy and machined parts equivalent to that obtained with die casting. 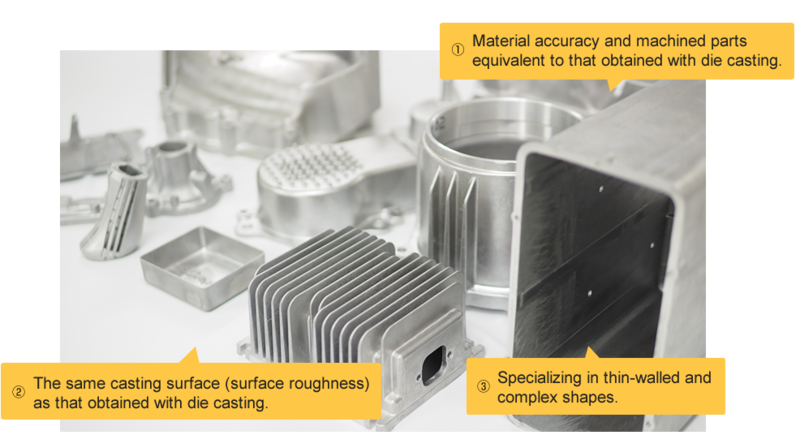 Shapes equivalent to those obtained with aluminum die casting can be reproduced. We also support thickness, parting lines, slide closing lines, and eject pin traces if necessary. Accuracy approaching that of aluminum die casting can be obtained. ②The same casting surface (surface roughness) as that obtained with die casting. Precision plaster casting provides a surface roughness of Ra 0.9 - 1.0 in comparison to a die cast surface roughness (without shot-blasting) of Ra 0.8 - 0.9. Surface roughness approaching that of aluminum die casting can be obtained. ③Specializing in thin-walled and complex shapes. A general wall thickness of 1.5mm is possible. A thickness of 0.5 - 1.0 mm is possible in some areas. Specializing in complex shapes not possible with sand mold casting. 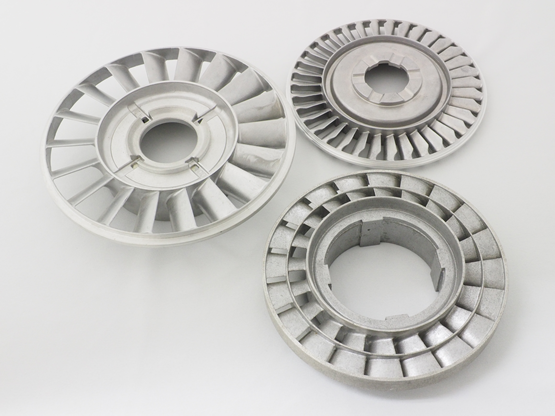 We are able to provide ADC12 plaster castings for die casting applications. Using plaster casting, the same shapes as those obtained with die casting can be manufactured, allowing evaluation of heat dissipation evaluation etc. 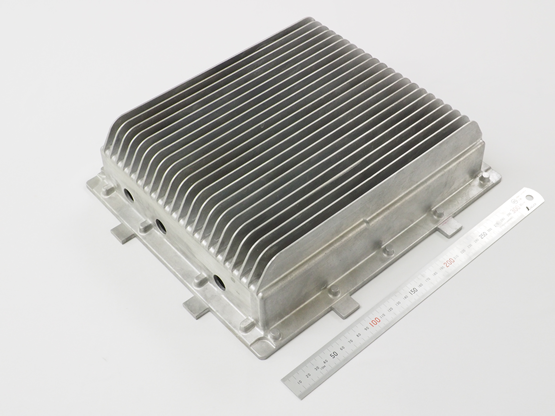 of aluminum parts from the trial production stage with the same material.